With the new Happy Planner™ release happening on our shop this Monday, October 31st, it's going to seem like there is a perfect Happy Planner™ out there for everybody. 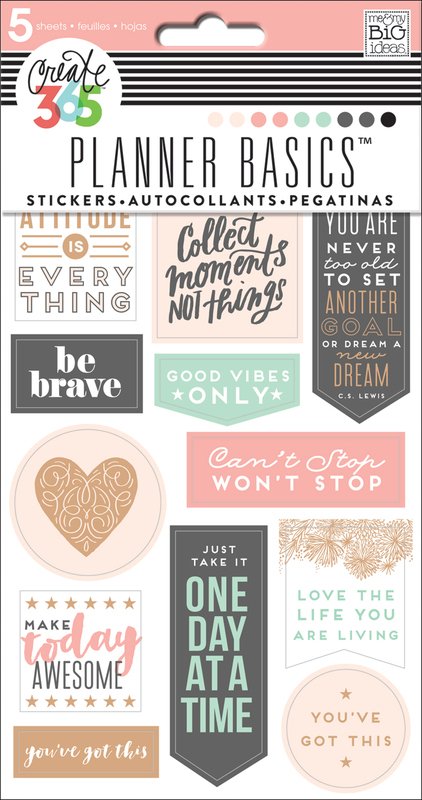 With so many different styles, sizes, and layouts to choose from, finding the best Happy Planner™ for you has never been easier! 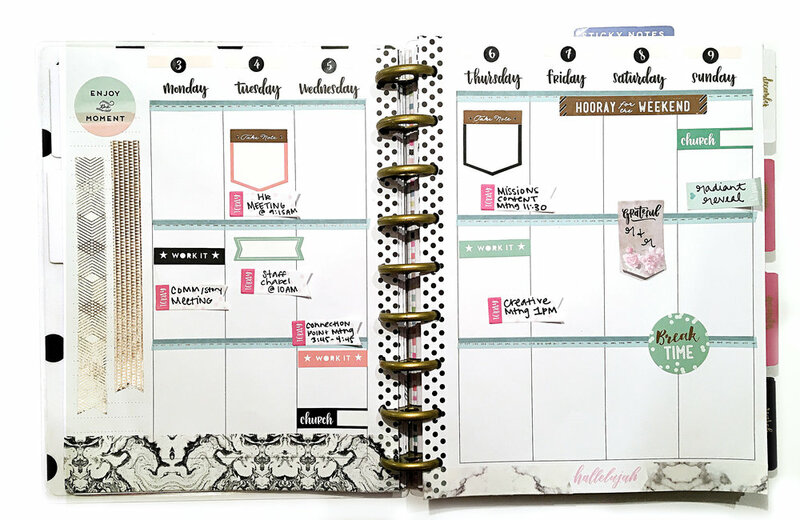 Our Faith-based Happy Planner™ seems to be the perfect match for mambi Design Team member Erica Canant (IG | blog) who uses it for her new job at her church. 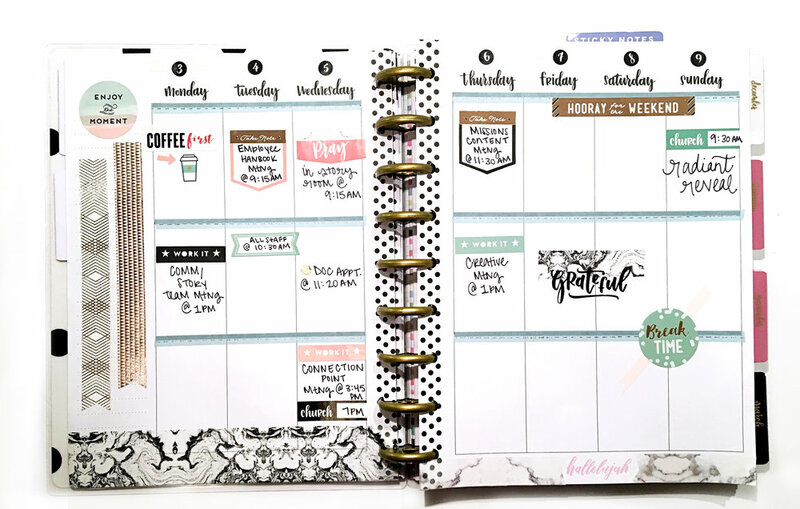 "I recently started my new job at our amazing church and I couldn't wait to get a new planner for it! Then I realized that the 'Faith' Happy Planner™ was out and what perfect timing?! 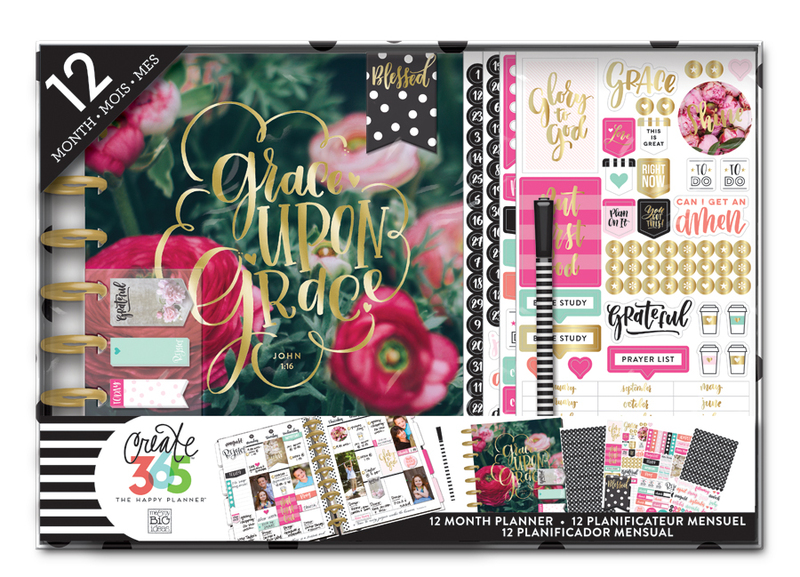 Janna Wilson's gorgeous designs and the Godly inspiration in the scriptures and sayings throughout this breathtaking planner were perfect for my job as the new Copywriter at church. For my second week at work, I made it super functional with a lot of space so that I could fill it in each day at work. It works perfectly and it serves as amazing daily inspiration. Shout out to Hannah Joy for picking out some amazing scriptures for it too!"